Tags: 2018 WSOP, John Hennigan, Michael Mizrachi. Michael ‘Grinder' Mizrachi does it again, and for the third time ever in his illustrious poker career, he has won this year's WSOP Event #33 $50,000 Poker Players Championship, bagging his 4th bracelet and a whopping $1.2 million cash prize! Both he and Brian Rast have won the prestigious mixed-game event twice, with Mizrachi winning them back in 2010 and 2012. 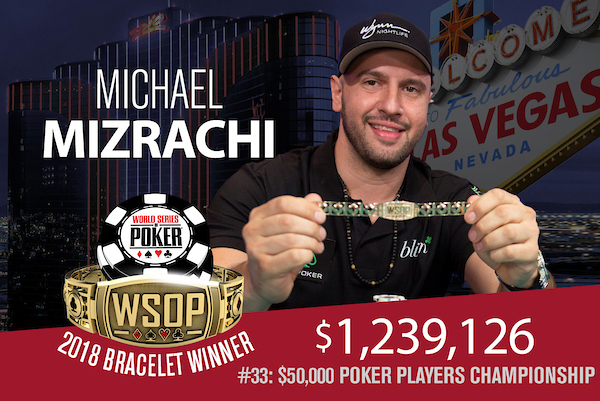 Mizrachi's achievement this year has now made him become the first three-time winner of this prestigious event in WSOP history. Overall, it's the 4th bracelet for Mizrachi, as he also won a WSOP Europe event in 2011. He said after he won, "It's quite an accomplishment. To win the first one was amazing. The second one was great. The third one is unheard of." This was the 13th annual running of this event, which started as a H.O.R.S.E. tournament and now features an 8-game mix with the addition of NLHE, pot-limit Omaha and triple draw 2-to-7 lowball. This year there were 87 players who joined in, creating a prize pool of $4,176,000. The final 6 players have a combined total of 13 WSOP gold bracelets, with only high-stakes regular Dan Smith being the only one who doesn't yet have a title series under his name. In fact, Mizrachi admitted that he had a poor Day 1 and showed up late on Day 2, fumbling his coffee as he rushed to his seat, "It was a seven-minute delay. We had to move tables. After that, everything turned around. 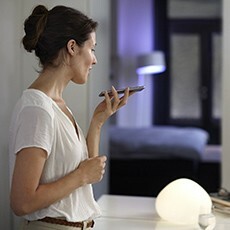 It was a good move by me." The final showdown between Hennigan and Mizrachi did not last very long as 2-7 Triple Draw proved to be the Grinder's forte. He won two big hands there and then finally knocked Hennigan off in NLHE, the game where Mizrachi first made his name in this specific event. Now, Mizrachi has 3 PPC titles, a fourth bracelet, two WPT titles and almost $17 million in cashes - something only the most accomplished players in tournament history can achieve. With this title, Mizrachi said he feels he had achieved enough to cement a place in the Poker Hall of Fame, I think I've done enough to where people will give me the respect I deserve." 7 comments for "2018 WSOP: Event #33: $50,000 Poker Players Championship won by Michael Mizrachi for $1,239,126"
This tournament had an entry of 50 k dollars and automatically many talented players participated in it. Most players have great poker lessons and strategies. Is to praise this performance of Michael Mizrachi. Probably he deserves this place in Poker Hall of Fame. Anyway, easy enough to get there for big players of course. A very good result for him, no doubt about that. Still young, so with his performance must be looking to even more money. Massive well done to Michael Mizrachi for winning the $50,000 Poker Players Championship and capturing his fourth WSOP gold bracelet! I would love to watch the star-studded final table replay on YouTube.